The Assure regular gas boiler comes with a variety of features and benefits. 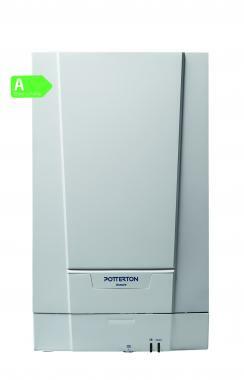 It is a condensing wall mounted unit designed and manufactured by Potterton. It has been designed with an easy fit wall mounting bracket, with positive fix and audible lock helping to secure the boiler. This boiler is compact in size with it able to fit in a standard size cupboard with ease, helping to save you space in your home. This boiler is said to be the lightest boiler available on the UK market with it being only 270mm deep and 19.5kg in lift weight. With this boiler being a regular boiler it is to be installed as part of a heating system alongside a hot water storage cylinder, cold water storage tank and a feed and expansion tank. This means it is not really suitable for the homes where space is limited. With this boiler comes a one meter lead, rear central flue for reduced boiler footprint and an improved look, simple fixing rear flue for ease, no pump overrun or permanent live required it means there is less disruption, front and side access making its servicing easier and quicker with no special tools required, it has flueing options of up to 12m allowing for flexibility in where it can be placed. As well as this it has vertical packaging allowing for ease of access to installation accessories. All these features allow for a highly efficient unit that you can be sure won’t let you down. It has a 93% efficiency rating making the boiler B rated. As well as this the boiler comes with an output of 13kW making it ideal for smaller homes with only one bathroom and not such a high demand for heating or hot water. With this unit being available in a variety of other outputs including 13kW, 16kW, 19 kW, 25kW and 30kW. This makes the boiler able to suit just about anyones heating and hot water demand. With this unit also comes 2 years warranty to give you peace of mind that you're getting a boiler that is not going to let you down.